In case you need a Christmas gift for someone who is following the No. 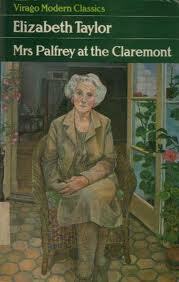 1 Ladies Detective series, this is the latest and fourteenth instalment. 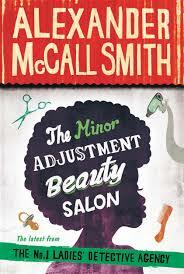 The title made me smile because when we lived in Tanzania there were so many hair salons that had interesting names…in fact many of them were “Saloons”, making we wonder if they offered drinks as well as beauty treatments! Mma Ramotswe is in fine form once again, even though she is short staffed at the Detective Agency because Mma Makutsi has had a baby! Sometimes it takes an absence to underscore how much someone means to us. It’s not always easy to identify your enemies, a snake can be an ally, and Mr. J.L.B. Matekoni is just trying so hard to be a modern husband! There is always tension between the modern and traditional ways! One thing I appreciate about Smith is how he masterfully weaves in earlier points to “catch up” the new reader who may be picking up the 14th as their first instalment. I would imagine that is not an easy thing to do well, but he does it seamlessly, without boring the avid fan. How much longer can this series go on? To be honest, I was going to comment on whether the books have been getting better or worse. But I just can’t, because these characters have become like family. It would just be wrong to make a judgement. They demand to be read because they have been written and because I want to keep up and spend time with the characters I have come to know so well. This gentle, much-loved series is still relaxing to read, wise about human nature, funny, and very African. David Walliams is being referred to as “the new Roald Dahl”. Some of his books are even illustrated by the same artist, Quentin Blake. Not that we need a replacement for Dahl though, his books are timeless and classic. 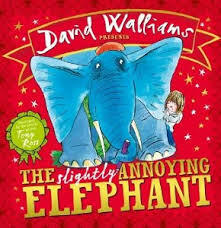 But Walliams’ work deserves a mention for his titles for older children (Age 8 – 12) and this, his first picture book. Illustrated by Tony Ross, what could be more delightful than an enormous blue elephant wearing a red beret who comes to your house….and invites all of his friends as well! All because of a common problem – not reading the fine print! In the style of Roald Dahl, his stories are fantastical and funny but deal with real topics. 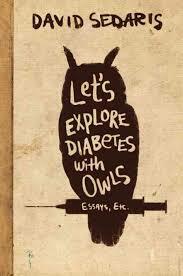 The title of this collection of comic personal stories by David Sedaris had me intrigued. His name was familiar to me but I had not read any of his other books. He’s a bit snarky and crude, but he had me laughing out loud and nodding in agreement. His insights are sharp and there are a few profound and poignant moments laced with sadness. Sedaris knows how to tell a story, and the timing to make it funny, especially when relating embarrassing personal incidents about his quirky family. In an essay sort of style, he is frank and though slightly warped, describes what he sees in life without sugar coating. In a random manner he talks about a range of things and ends the collection with a rather crass but very funny poem about dogs. A couple of the stories in this book are narrated by other characters, rather than himself, which I found a bit confusing at first. The Happy Place about his colonoscopy (surprisingly pleasant). Although Dave Barry wrote a better one. A Cold Case about the aftermath of the theft of his computer and passport – covers everything from British bureaucracy to bad passport photography. Author Author where he perfectly captures a trip to Costco and how he deals with book signings. Dentists Without Borders about a trip to the dentist in France. David Sedaris is also fun to listen to. In fact, some people prefer listening to his stories. The best introduction for this book is what’s found on the flyleaf which is actually a quote straight from the book. I was relieved when the woman’s suitcase arrived, since the pariah whom she and her seat mate had so cruelly disparaged must have been the very large gentleman who two flight attendants were rolling into baggage claim in an extra-wide wheelchair. A curious glance in the heavy passenger’s direction pierced me with a sympathy so searing I might have been shot. Looking at that man was like falling into a hole, and I had to look away because it was rude to stare, and even ruder to cry. When Pandora’s formerly slim and hip jazz pianist brother arrives for a visit after an absence of 4 years, she is shocked to see that he is now morbidly obese, and that he plans to stay. How can she help him? And should she? Lionel Shriver has done it again. She has written a novel I can’t stop thinking about and would love to discuss with others who have read it. As with We Need to Talk about Kevin the real power of the novel comes at the very end with her (by now) trademark twist, even though I enjoyed the story and the writing throughout. She is a master at handling subtleties in relationship and has a sharp eye for behaviour within families. Obesity is not an easy topic to deal with and her deft handling of the issues around it are much deeper than debates over fad diets. There are no lessons for the mildly overweight because she is dealing with serious addiction and depression here. But there is commentary between the lines about how difficult it is to maintain a healthy weight and the reasons we overeat or suffer from eating disorders. 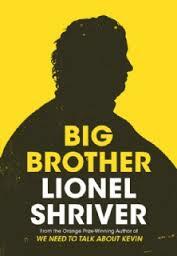 What is important and moving to note is that the topic is central to Shriver’s own life. Her own brother was obese. But the book is not autobiographical and the lessons of the novel could apply to any form of addiction and how tricky it is for family to help. Shriver’s poetic black humour and occasional wordiness may not be for everyone, but I respect her unflinching courage to deal with tough topics and am amazed at the insights she delivers through her story. 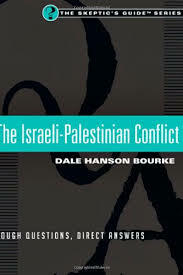 Here is a PS to my earlier post on Blood Brothers, since my friend Laura recommended this recent and helpful little guide to the Israel-Palestinian conflict. It is a perfect companion for a trip to the Holy Land or even for the armchair traveler who wants to learn more about the conflict. We hear so much on the news or hear others speak on the topic, but still have so many questions and feel overwhelmed by the complexity. Easy to read and well organized in a question and answer style, you can get through this guide in a Sunday afternoon. Bourke avoids the temptation to expand into tangents and remains dedicated to being concise and keeping things simple. An actress running from her past finds escape with a man hiding from his future. Life has burned them both. This is a heart-felt novel about two broken souls looking for healing and trying to find a way forward. There is only one other character in the novel: Father Steady is the one who brings Sunday and Katie together. The start of the novel is a little unnecessarily ambiguous. It was probably meant to create an aura of mystery. If you just keep on reading it all becomes completely clear (just remember that men can have long hair too). The names seemed a bit trite (Steady for the only solid character and Sunday for the one who is stymied in rest). The aspect of this novel that I found compelling was how humans are really unequipped to be worshipped. Our society seems to value fame and fortune, but coping with the effects of these, often contribute to ill health and addiction. “Life in the spotlight, on the pedestal, at the top of the world (is) a lonely, singular, desolate, soul-killing place.” Man is not made to be worshipped and praised. Man shouldn’t hold light but reflect it. Like gasoline in a Styrofoam cup, it eats away from the inside out and eventually spills out across the sidewalk. This author was recommended to me and I felt slightly disappointed. Parts of it were beautifully written, and I found the beginning intriguing, but my interest was not sustained. 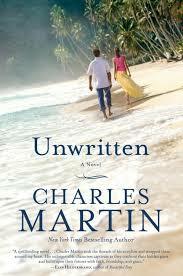 This is Martin’s latest book, perhaps his earlier novels are better? If you are a Martin fan, let me know if there are any that you particularly liked, since I’d like to try another.